Do you need to encourage your students to get to bed early? 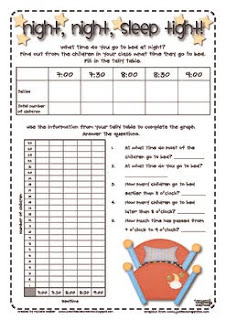 This little graphing activity may be the perfect way to do just that. 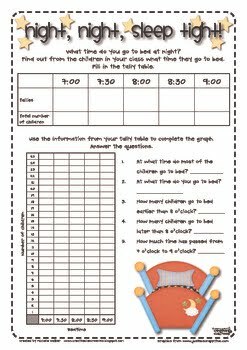 Students gather information about bed times from their peers and complete a tally table and graph and then answer questions about the information gathered.